Chile pastes are a great alternative to rubs, as they incorporate oil and fresh vegetables as opposed to dry powders. 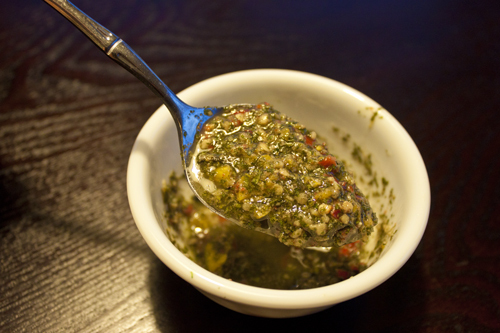 The oils adhere to the meat and infuse the meal with your fresh chile pepper flavors. We made ours extra spicy with not only habanero peppers, but also a King Naga and a Yellow Scorpion. This recipe is perfect as a rub for chicken or fish, or a meaty pork loin. Heat a pan to medium heat and add paste. Cook about 3 minutes, until mixture becomes fragrant.